The ITC series lectern is great for any instructional setting to hold a variety of technology hardware and instructional materials. Spacious cart top with top and bottom locking storage areas. Bottom compartment includes a sitting height pullout and fixed shelf. 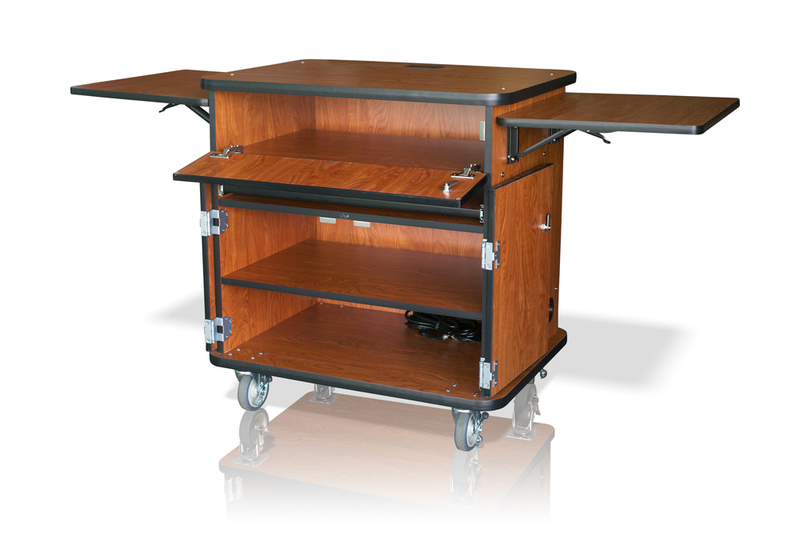 Highly versatile and you can stand or sit a this roomy lectern style cart!